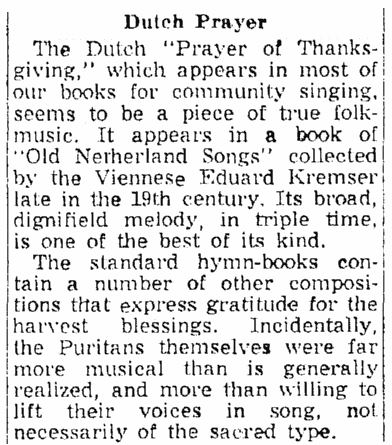 What’s the Back Story of Those Familiar Thanksgiving Hymns? 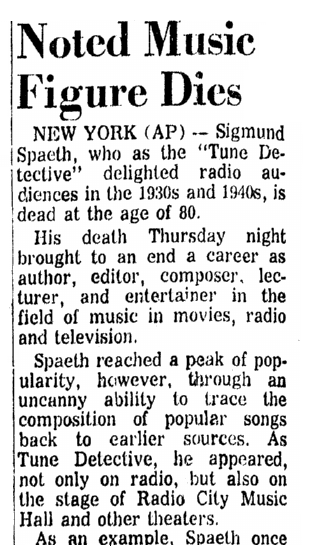 Music editor Sigmund Spaeth (1885-1965) can tell you. …into a profitable career after it became apparent to him that he could not make it as a professional musician. 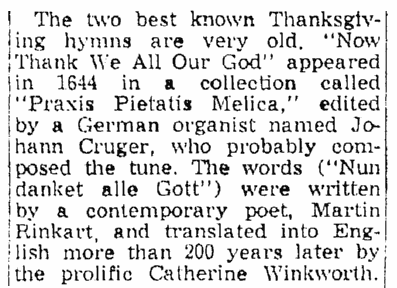 In his regular column “Music for Everybody” on 22 November 1953, he commented on some favorite old Thanksgiving songs. 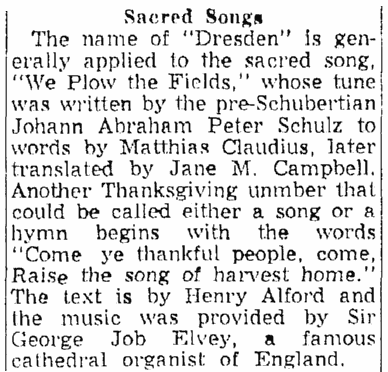 What are some of your favorite Thanksgiving hymns? Share them with us in the comments section below.